What if there were two powerful guys who were fighting to run your city? Who would you want as your friend or boyfriend? 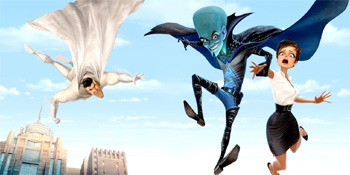 That’s the dilemma for TV reporter Roxanne Ritchi (voiced by Tina Fey) in the new DreamWorks animated 3-D feature film Megamind, coming to theatres on November 5. One of the guys is like Superman only he’s called Metro Man (voiced by Brad Pitt), the other is super villain Megamind (Will Ferrell). Seems like a simple choice for our girl journalist but there is a big complication. What if the bad guy suddenly became the hero and the hero hottie just disappeared? Kidzworld: Improvisation has played a huge role in your careers. Were you able to do a lot of making up your own lines in the recording booth? Kidzworld: Will, what does it mean to you to be front and center of an animated movie? Will Ferrell: [Will turns around to look at the film’s poster behind him where his character Megamind is actually “front and center”]. It’s very exciting. Well, I don’t consider myself front and center of this fine cast. But… [looking again] oh, I guess I am front and center. I haven’t done a lot of this stuff before. It was exciting. I love the [story] which I felt was so original and to be in a film with this cast is kind of the most exciting part for me. Kidzworld: Tina, was it hard to get used to only using your voice in the recording process and what did you think of your character Roxanne’s look in the film? Tina Fey: I liked how she looked. I like her short hair, I like that she’s brunette and she’s got an ample can. I’m not gonna lie to ya [laughter]. I like how she’s drawn. And I found the recording sessions very freeing because you can try things. If you’re improvising on film, you’re wasting film and cameraman’s time but when you’re recording the voice first, it doesn’t matter. You can try it and stop. It doesn’t matter how you look while you’re doing it. There’s a complete absence of vanity while you’re doing it. I found it really fun. 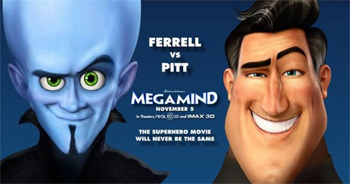 Kidzworld: Will, it seems like you adopted a bit of a British accent for Megamind. Is that because Brits are traditionally cast as villains? Will Ferrell: It’s so disappointing, and it’s not your fault, but I was actually doing a Lithuanian accent so it just shows how bad a mimic I am. [We laugh] But no, it’s just the accent of someone who thinks they’re important. We just landed on that and felt like it would be appropriate to this guy who is really, when you get down to it, completely insecure; someone who speaks like that but is insecure, is a great combination. 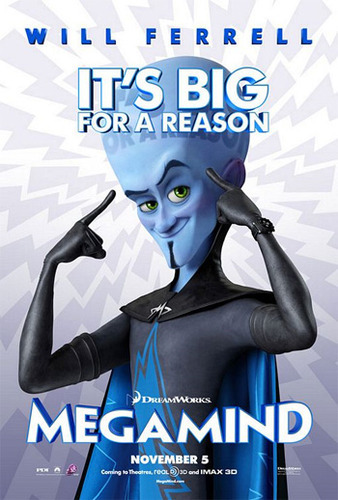 Kidzworld: Will, what did your kids think of the movie and do you share any traits with Megamind? Will Ferrell: My kids haven’t seen it but they’re excited about it. It’s the first time they’ve commented on something I’ve done. 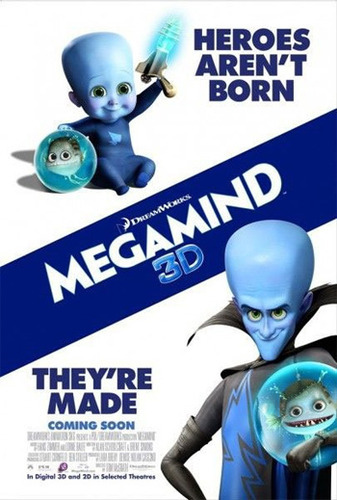 There is one poster that has the Megamind baby featured and my three-year-old is really fascinated with the baby. Tina Fey: It’s really cute. Will Ferrell: It’s an adorable baby. And traits that I share with the character? I have a lot of tight leather pants bought in bulk. I don’t wear them but just keep them there. Kidzworld: Tina, let’s say we live in a world where Megamind and Metro Man are real people. Which one would Tina be attracted to and why? 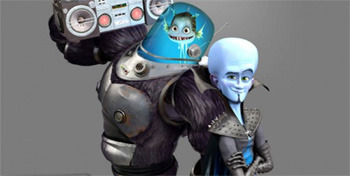 Tina Fey: I think I would go for Megamind because he’s very smart and I really do find the purple undertones of his blue skin very attractive. I really do. He’s got beautiful, beautiful skin and he’s smaller than me and I like that. Kidzworld: Did either of you have an enemy or frenemy in your younger life who helped forge your character and made you a better person? Tina Fey: I have a series of hundreds of small enemies [Will laughs]. Everyone I meet, I assume, is out to get me and that fuels my fire on a daily basis. Will Ferrell: My nemesis prior to this working experience was David Cross [who voices Minion in the film] but through this process we were able to basically knock that out. David’s still trying to come over to my side. Kidzworld: Did your kids influence you to make this movie and do they recognize any of you in the animated characters? Will Ferrell: This was a decision based on wanting to do another animated movie and getting the chance to work with Tom and DreamWorks. My children were not consulted nor are they ever consulted…about anything [he’s kidding]. Tina Fey: [firmly] They will speak only when spoken to! Will Ferrell: Very strict. But, they’ve seen some of the ads and trailers and they’re intrigued by the fact that I do the voice of this guy with the blue head, yeah. 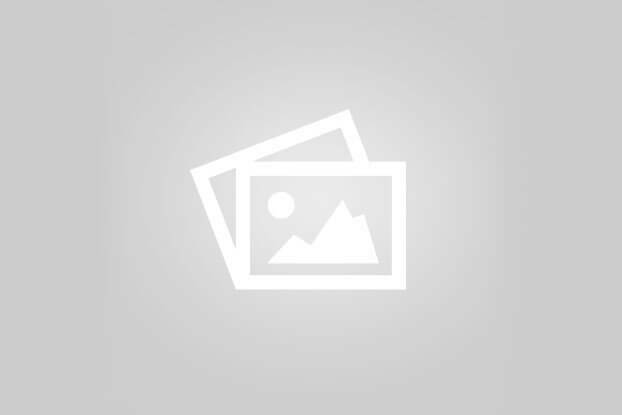 Kidzworld: Do you see something of yourself in him? Will Ferrell: No, not really. I don’t think he looks like me. Tina Fey: When he’s moving, I think he does. Will Ferrell: Really? We have kind of the same watch [shows his large watch]. I wish I had his waistline though. Am I right? It’s hard to keep the weight off when you get older. Kidzworld: Tina, you play a reporter and you have an extensive track record with the SNL skit, “Weekend Update”. Is it hard to shake the reporter thing or is it something you are just so good at that it keeps coming your way? Tina Fey: I am one of America’s foremost fake reporters. I’m gonna have a fake show on CNN. No, it was fun to step into this Lois Lane-type of character and I really like that, in this story, she is a modern version of that. She’s active and intelligent and she looks like the young Sharon Osbourne [we all look at the poster. Yep, she does!]. Kidzworld: Megamind’s sidekick Minion is a robot with a fishbowl with a fish in it for a head. Where do you think that came from? Tina Fey: Is there an old movie called Robot Monster that the look of Minion is inspired by? My husband was telling me that. That was cool-looking. [We looked it up. It’s Robot Monster and the character is Ro-man.. a gorilla with a diving helmet head… cheap 1950’s Sci Fi B-movie]. Kidzworld: Will, what are your likes and dislikes of a voice actor role versus live action? Will Ferrell: As Tina was mentioning, there is a great amount of freedom in terms of getting to come up with something on the spot, improvising [but it’s hard] to articulate any sort of emotional gearshift just with your voice. Playing the comedy is one thing but I think it’s a real skill for any of these actors who can consistently do that. That was the hardest part for me. Kidzworld: Would you consider doing this sort of role again? Will Ferrell: I really enjoyed working with Tom. I’ve only had one other experience and that was on Curious George with my main man David Cross [who voices Minion]. I haven’t done a ton of this type of work but this experience was so gratifying that it would be fun to do another one for sure. The other thing, I didn’t show up in t-shirts and sweats [like Tina]. I had a three piece suit on. I did full hair and make-up for every recording session because I view myself as a professional [Tina is laughing].